Is the lack of a corkscrew making you whine over that tempting unopened bottle instead of wining and dining? Pop the cork using these three no-fail approaches. It’s an all-too-common occurrence: You pick up a fine bottle of wine to enjoy for dinner or to hand off as a hostess gift, when you suddenly realize there’s no corkscrew to be found. You may think your only options are to journey back outside for an opener or go without that glass of perfect pinot, but fear not—there are plenty of household hacks you can use to loosen the corkscrew. With a few everyday items and a bit of old-fashioned elbow grease, you’ll be relaxing with a glass of Bordeaux’s best in no time. 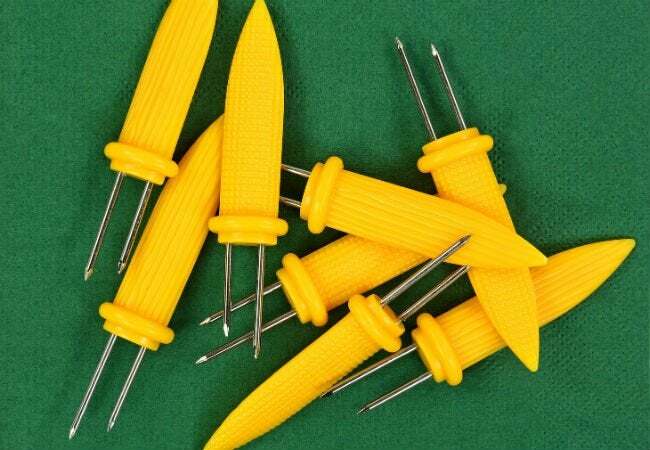 Comprising a nob and two prongs, corncob skewers are best known as those little yellow tools that make noshing on your favorite summertime vegetable a breeze. But their sharp ends can also be put to good use as an in-a-pinch solution for opening your favorite bottle of red or white. Simply insert the prongs into the cork, and then gently lift, twisting left and right as you go until you successfully dislodge the top. Another way you can use this barbecue essential to liberate your libation is by adding some hardware into the mix. Start by twisting a screw about 60 percent of the way into the cork. Next, place the corncob prongs beneath the screw head to form a T shape. Grab hold of the screw and pull, then reward yourself with a generous pour. For a corkscrew-free solution that literally nails it, find a hammer and a handful of clean, short finishing nails that are about the same length as the cork. Hammer three to five nails in a straight line across the middle of the cork, using only mild force to avoid breaking the cork into pieces. 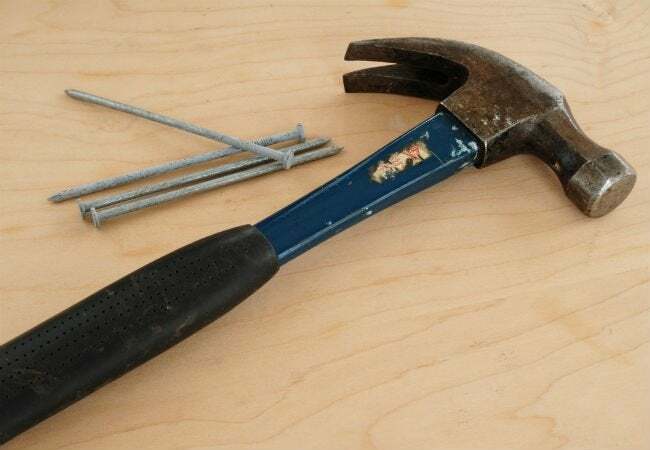 Then, use the claw of the hammer to pull out the nails one at a time, removing a little bit more of the stubborn stopper with each nail. 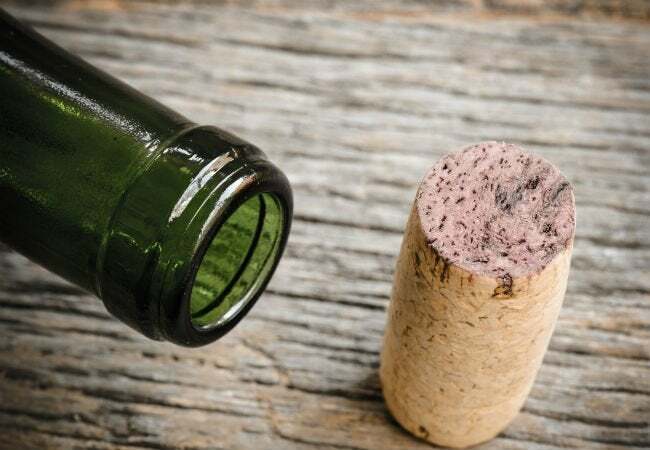 Once the cork wiggles free, you’re free to pour yourself a glass. Remove the capsule (the foil covering) from the top of the bottle, and then slip your chardonnay into something a little more comfortable—your shoe! Choose one that’s not overly cushioned, as this can weaken the effect of this approach, then rest the sole flat against the wall. 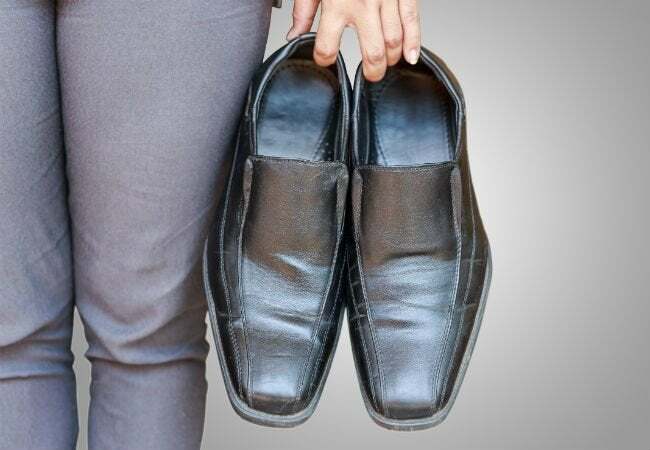 Place the bottom of the bottle inside the shoe, and then, holding the neck of the bottle with one hand and the shoe with the other, strike the two perpendicularly against the wall at least 10 times, or until the cork is dislodged. (Check the status of the cork every few strokes to ensure that it doesn’t fall out unexpectedly.) The liquid in the bottle transfers the force from the wall to the cork, so you can remove it with ease and be back on your way to a relaxing evening. Bottoms up!